Pictured, from left, are SI Coordinator Rachel Jenkins; Megan Bodiford; wife of the late Dr. Robert Terry, Carolyn Terry; and Executive Director of the SAU Foundation Jeanie Bismark. 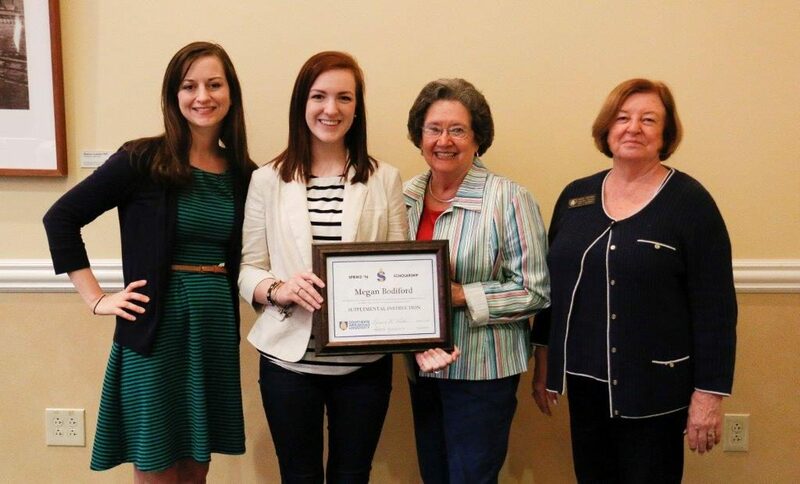 Megan Bodiford received the Dr. Robert A. Terry Supplemental Instruction Scholarship at the TRIO Award Ceremony held on April 12, 2016. 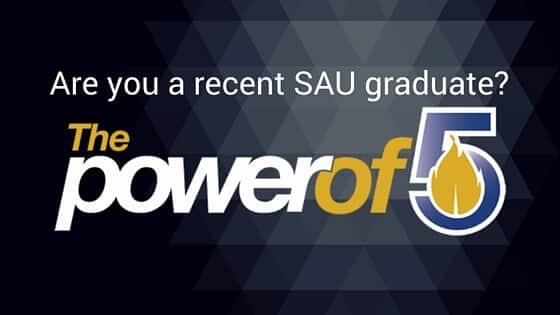 The scholarship is awarded each semester to an outstanding SI leader in memory of Dr. Robert Terry, former professor of English, who started the SAU SI program in the early 1990’s. In 1973 when Dr. Terry came to Magnolia and what was then Southern State College, he noted that there was no program in place to provide students with extra instruction. After some extensive research, Terry wrote the first grant, tapping into federal Upward Bound programs. Supplemental Instruction, the first peer instruction program on campus, was established. Supplemental Instruction is a series of weekly review sessions for students taking historically difficult courses. It’s available to all students in the course who want to improve their understanding of course material and their grades. Candidates for the scholarship must maintain above a 3.75 Grade Point Average and receive high recommendations from at least two faculty members.